The morning at Smith and Bybee Wetlands in northwest Portland started out foggy. 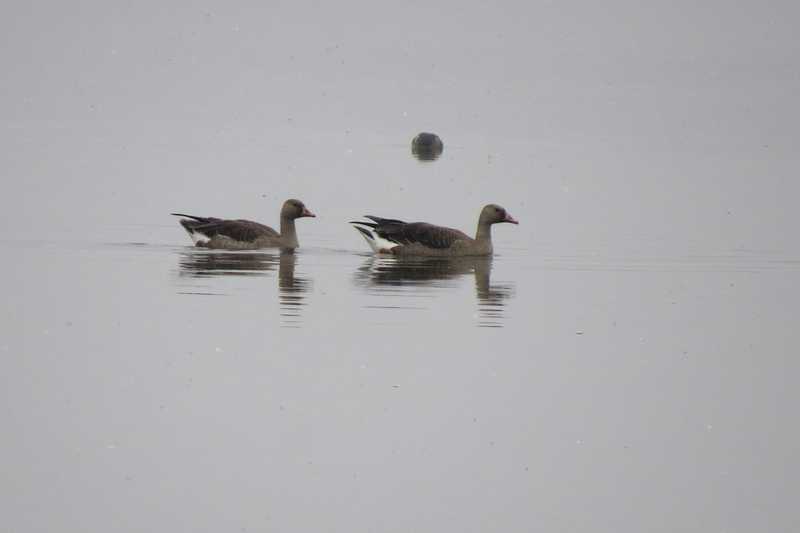 At the Smith Lake canoe launch, 12 Greater White-fronted Geese were among the many waterfowl. It is getting late for White-fronts in the Willamette Valley. 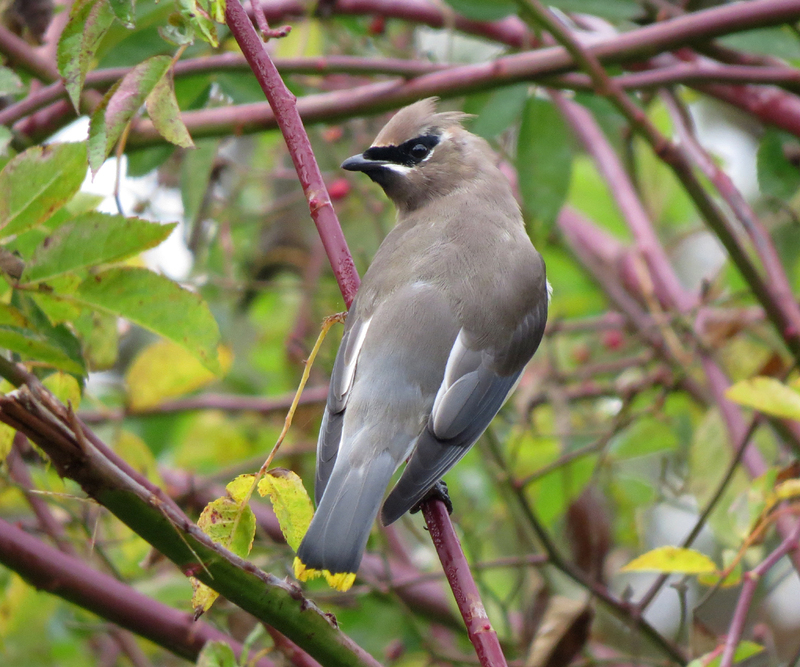 There were a lot of Cedar Waxwings flycatching and feeding on various fruiting trees. This is a young bird, given the overall scruffy appearance and the lack of red tips on the tertials. 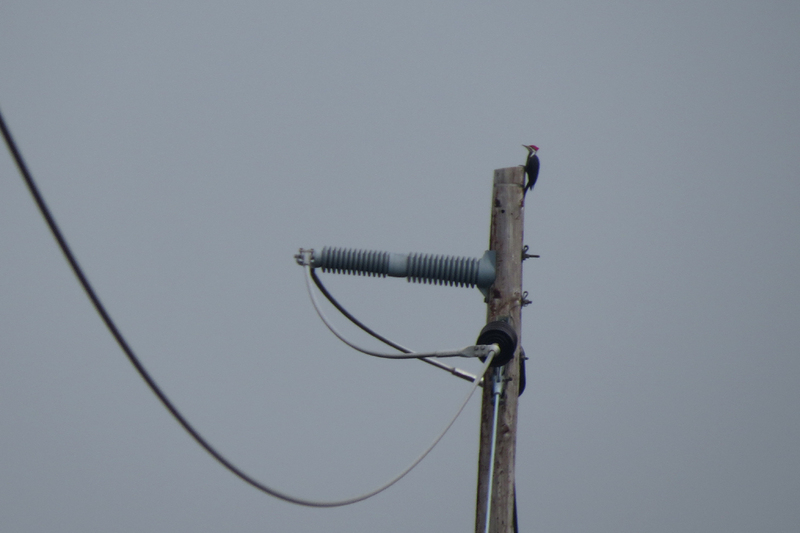 This Pileated Woodpecker was very vocal and perched out in the open on a distant utility pole. 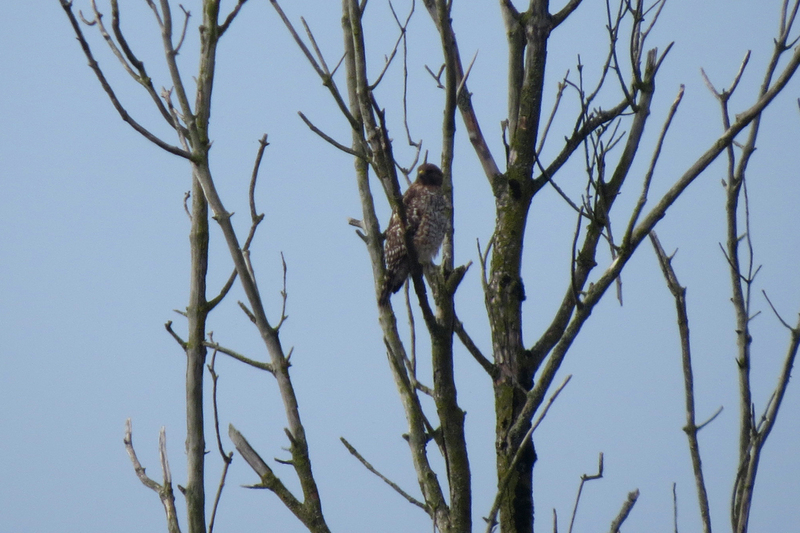 This Red-shouldered Hawk was among the many Red-tailed Hawks and Northern Harriers present on the property. The current low water levels allow you to hike quite a ways out into the wetlands. 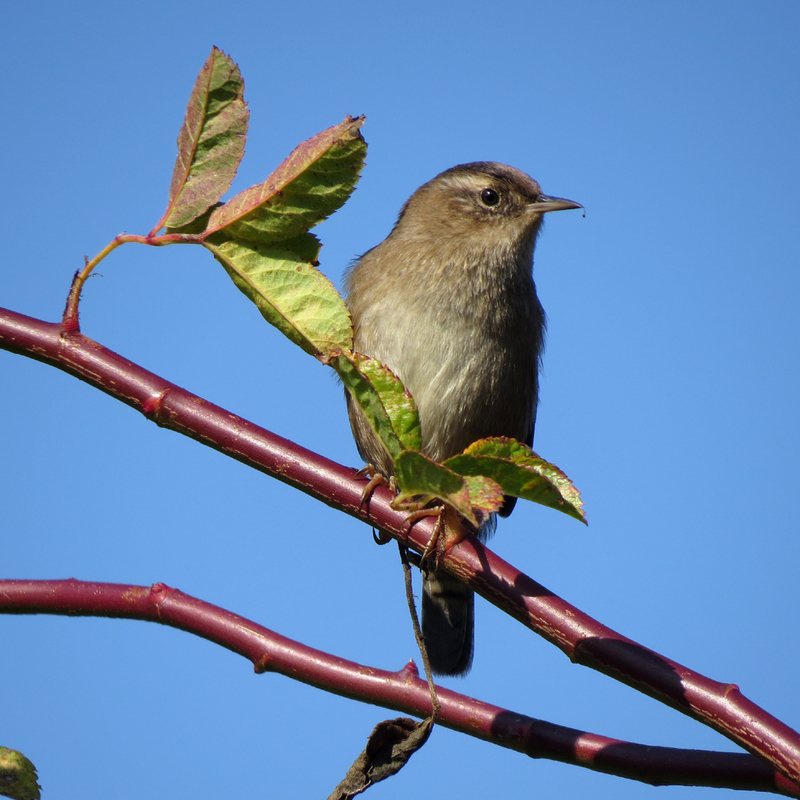 Marsh Wrens are common in the shrubs and reed canary grass. 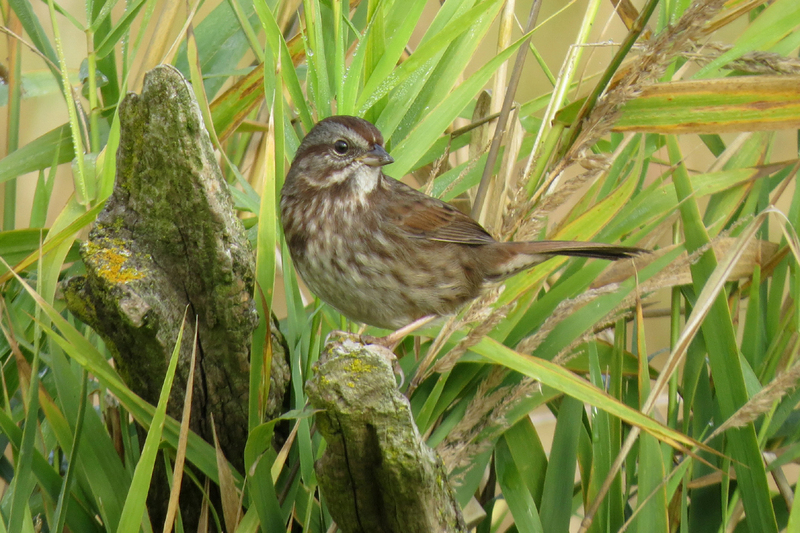 Song Sparrows are also common in the tall grasses. The best bird of the day was a Swamp Sparrow, but he eluded the camera. 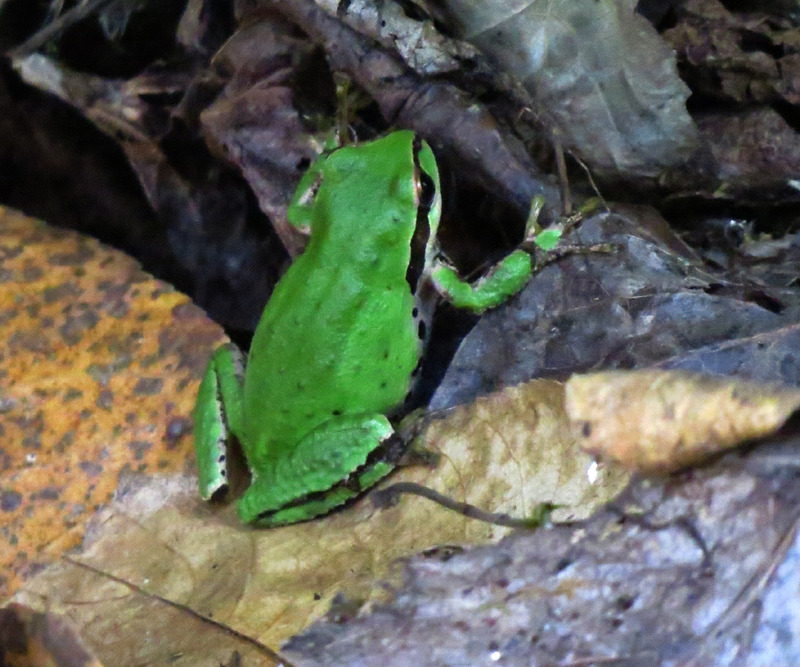 Pacific Chorus Frogs were singing everywhere, but this is the only individual I could see. This entry was posted in OR Birding Sites, reptiles & amphibians, seasonal movements and tagged Cedar Waxwing, Greater White-fronted Goose, Marsh Wren, Pacific Chorus Frog, Pileated Woodpecker, Red-shouldered Hawk, Smith and Bybee Wetlands, Song Sparrow. Bookmark the permalink. 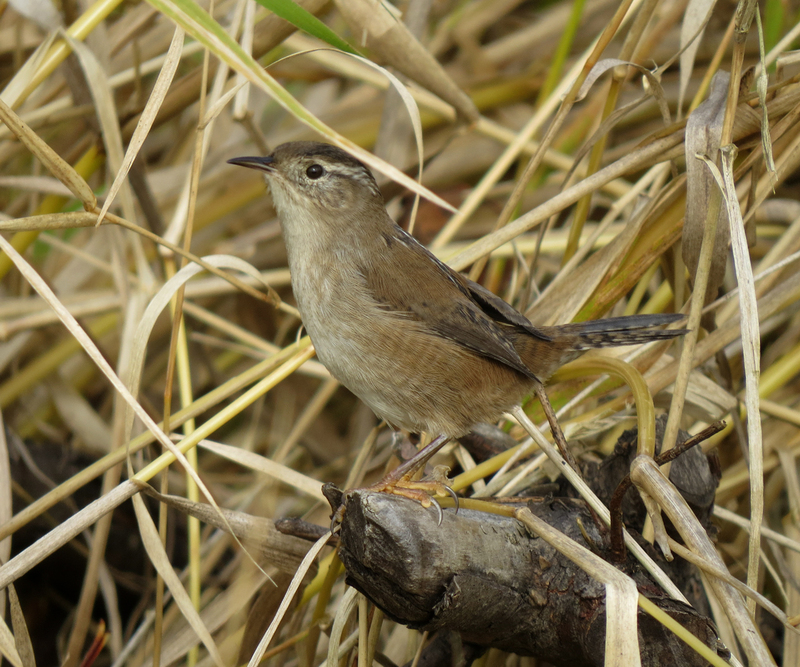 Nice marsh wren shots…they aren’t easy to catch out in the open. Happy to hear you saw a swamp sparrow out there. It’s on my ‘must see by the end of the year’ list. Good to know one is lurking out there.